Family owned and operated for over 33 years, The Tanning Hut has been the premier tanning salon in the Hudson Valley. Since 1983 our goal has been to provide every customer with the best tanning experience possible. That includes providing our customers with affordable and convenient services. The Tanning Hut is an over 3,000 square foot award-winning tanning factory that uses 5 Levels of tanning beds and the newest available technology and equipment, provides a comfortable and professional atmosphere and an informative and confident staff. Awarded one of the Top 250 Tanning Salons in the United States and Top 10 Tanning Salons in New York by Looking Fit magazine. Come experience luxury tanning at its best. 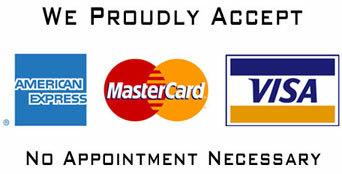 Be sure to ask about our wide range of additional services! Professional Airbrush Tanning by a Certified Norvell Technician. Tueday 9:00 a.m. – 9:00 p.m.
Saturday 9:00 a.m. – 6:30 p.m.
Sunday 9:00 a.m. – 3:30 p.m.
Tanning started as a fashion fad in 1923, thanks to bikinis and renowned fashion designer Coco Chanel. While cruising on a yacht from Paris to Cannes, Coco left her skin unprotected, resulting in a deep tan. While getting off the yacht, followers of her work saw her deep skin color. This started the trend of tanning as we know it today. As schedules became too busy for people to spend time outside in the sun for a tan, the 1980s introduced tanning salons and tanning beds to produce the perfect tan in less time.